Chen Long looked much more like the all-conquering player of old, while the doughty, grimly determined Akane Yamaguchi outlasted the artistic but wayward defending champion Tai Tzu Ying. What is 24-year-old Kidambi Srikanth really like? 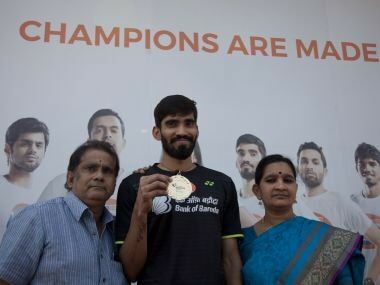 Catch a candid Srikanth talking about feeling lazy in the morning, what he thinks about coach Pullela Gopichand and why he dislikes shooting for ads. It is clear that a clutch of talented and hardworking players from India is becoming a more serious threat to the established stars who would have brushed them aside without a second thought barely a year ago.